This programme uniquely combines hard analytical skills with an understanding of the relevant business data context for application. Through this combination you will learn how to use theories, models and tools for data analytics to generate actionable insights and develop fact based platforms for decision making by conducting visual, text and predictive analysis. Through a mix of theory and hands-on exercises you will learn to design, develop, implement, test and document technical business data analytics solutions to support organizational processes and/or satisfy business needs by using data analytics oriented programming languages (such as Python, R), Big data platforms (such as Hadoop, Spark) and open source technologies. You will work with visual, text and predictive analytic techniques including latest methodologies from data mining, machine learning and deep learning in order to transform Big data sets into business assets. You will understand the role of data analytics in the digital economy, and how companies can deal with the challenges and opportunities provided by the increasing availability of data, which is changing the business landscape. This will allow you to understand both the strategic and operational impact digitalization has on business innovation and strategy. In combination with courses on visual analytics this will enable you to communicate across both the technical and the business side of business intelligence in both the development and presentation of solutions using business data analytics. By working with the theoretical foundation as well as hands-on statistical analysis software packages (such as R. MATLAB, SAS) you will learn how to analyze and select the relevant method and model to perform predictive analysis and forecasting to produce fact based platforms for decision making. 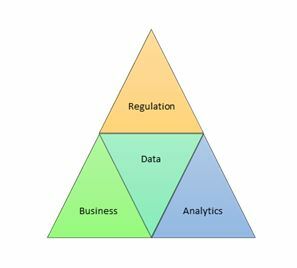 Building on this foundation you will also learn about the international and national regulations and legislations for assessing and designing business data analytics solutions and products in accordance with the applicable legislation to ensure regulatory compliance and reflect on data ethics. All courses will be designed in the blended learning format, and will use a mix of lectures and exercises with mandatory assignments throughout the courses. Cand.Merc.Data Science’s core technical faculty will be drawn from the Centre for Business Data Analytics, and the Departments of Digitalization and Economics. Core Business faculty will be drawn from the Departments of Innovation, Strategic Management and Globalization, Management Politics and Philosophy and Law. The new MSc programme will be supported by the purpose-built and student-dedicated CBS Business Data Analytics Cluster , which will feature a state-of-the-art hybrid architecture comprising an on-premises cluster of 40 compute nodes, large memory and very large storage paired with cloud servers to support dynamic scaling on demand for class exercises, exam projects and master theses. The below table lists the structure of the programme and the ECTS credits of the individual courses. You can find course descriptions in the programme study regulations. A candidate who has completed MSc in Business Administration and Information Systems (Data Science) will be able to accomplish a variety of skills in the domain of business data analytics, using knowledge and insights into practices within business data analytics, with a combination of data science, business, and public policy fields. The programs interdisciplinary focus entails that the candidate will be able to develop and communicate scientifically-rooted solutions, based on scientific techniques and methods within the data analytics, business and legal subjects. Attention has been focused particularly on the candidates mastering the methods, techniques and processes with a high scientific level within design, development, adoption, implementation, evaluation and exploitation of data science for business IT and economics. As a graduate of this concentration, the candidate will have the ability to apply data mining and machine learning algorithms, methods, techniques, and tools to analyze, describe, and solve complex and interdisciplinary challenges by application of theories and frameworks, within both internal and external business data pipelines for organizations. After completing this program, the candidate will be able to perform specialist functions that requires knowledge and skills from the highest international research in data science and business issues, with an ability to box-in complex problems and take forward actions using data-driven decision making to support organizational strategies. The candidates will be able facilitate and integrate data-driven decision making into organizational practices by acquiring, producing, and using new knowledge with data science and within new domain areas. As a graduate of this program you will find jobs such as Data Scientist, Data Managers, Data Analyst and Business Intelligence Analysts and so on, in companies like telecommunications, finance, manufacturing, marketing research and other large organizations both from private and public sectors, which are focused on extracting data-driven insights from enterprise data. Many graduates will find their way into data analytics and business intelligence domains, because of their solid understanding on the application of data mining, machine learning algorithms, combined with business understanding of data, to promote a global and local perspective on digital strategies, data pipelines and data-based business models. Some candidates will also find job opportunities in consulting where they can help companies with a number of different problems. For example, they will be able help companies by translating a business problem into a data question, create predictive models to answer the questions of business problem. In the following Competency profile for Business Administration and Information Systems (Data Science), you can find more information about the various competences you will achieve as part of the programme.